Denise R. Fuller is an aesthetics expert with more than 20 years of experience in the beauty industry. She is a licensed aesthetician and nail technician, and an approved body wrapping instructor for the state of Florida. Denise received her training, diploma and certificate as a beauty therapist in Australia. She is highly respected in the skin care and spa industry and a former editor-in-chief of Les Nouvelles Esthétiques & Spa magazine. Denise is the co-founder of the National Aesthetic Spa Network and is the director of its non-profit organization, NASNPRO. 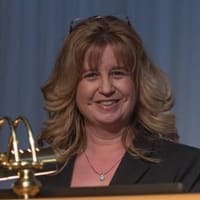 She is passionate about training and mentoring professionals in the spa industry, which motivated her to develop the “affordable education and networking” format of the NASN conferences.